It is finally rhubarb season here! I am a huge fan of everything strawberry rhubarb as you’ll be able to tell by my next couple posts! Since the weather is turning warm, I figured it was time to start making popsicles, and I am so glad I did. These are a favorite at my house! As always with most of my recipes, there are very few ingredients. 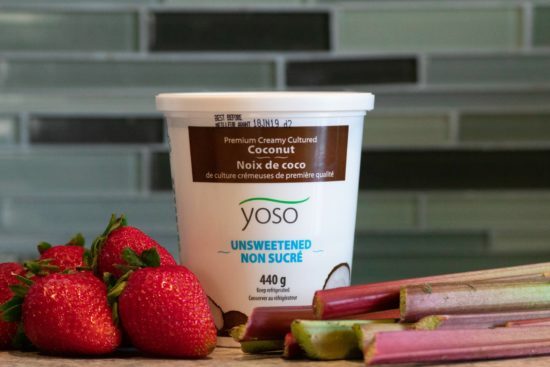 To make them creamy, I used Yoso Unsweetened Coconut Yogurt. To find out where you can find this delicious yogurt near you, click HERE. 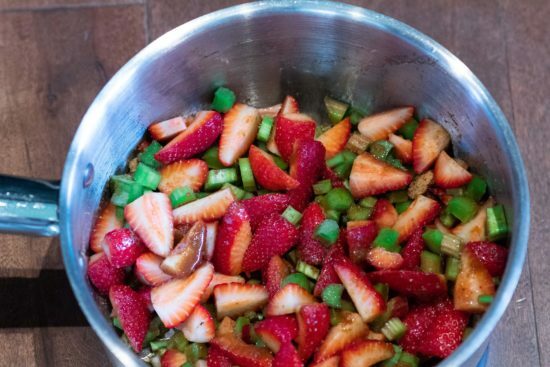 Chop up the rhubarb and the strawberries; toss with sugar, lemon juice and vanilla. Simmer until it becomes really soft. I then pureed the fruit mixture and yogurt together. 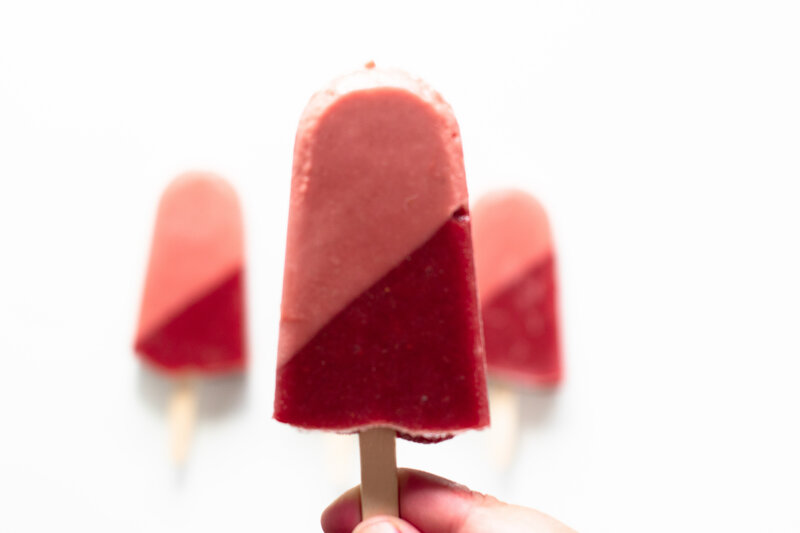 If you want to make it diagonal like I made mine, prop the popsicle in a bowl before pouring in the first layer. 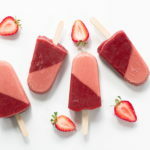 Freeze for 1.5 hours. 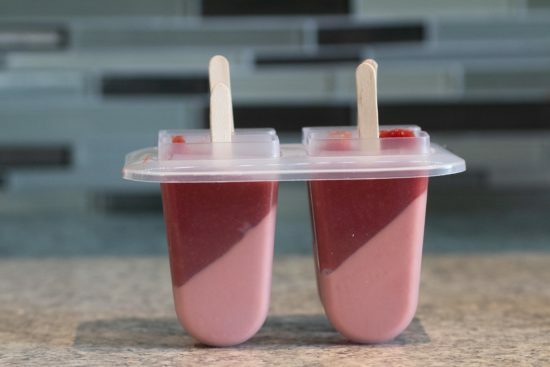 Place the popsicle mold flat and fill the rest of it with just the puree and put the popsicle sticks in. Freeze for another two hours, or until frozen completely. Combine everything except the yogurt in a saucepan. Simmer for 15 minutes stirring occasionally. Pour the cooked fruit into your blender and blend until completely smooth. Reserve half of the puree for later. Add the yogurt to the half of the puree and blend. 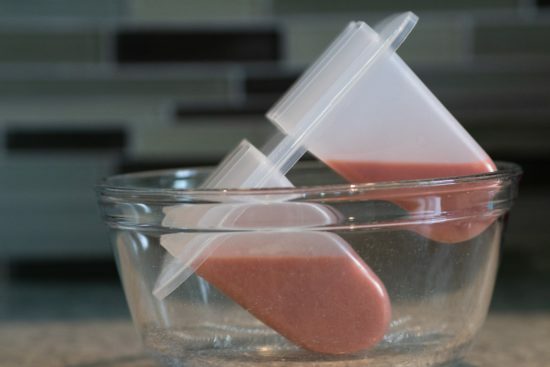 Pour into popsicle molds until they are half full. 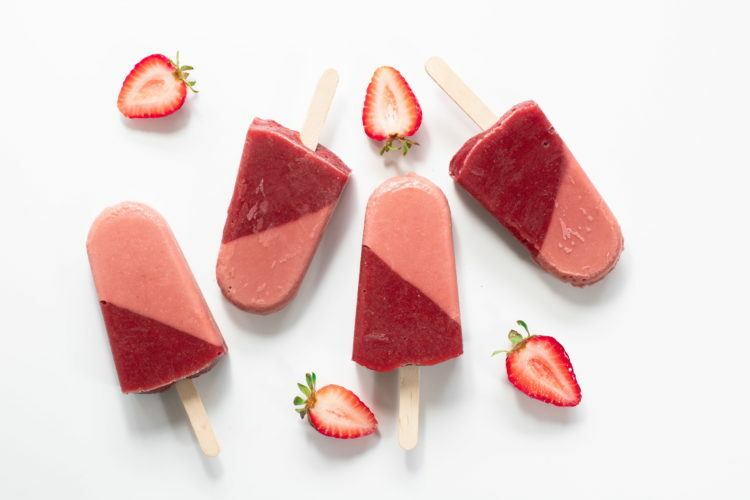 Freeze for 1.5 hours. Remove from the freezer and pour the reserved puree in the popsicle molds and add the sticks. Freeze for another 2 hours, or until completely frozen.